Larry Hornsby is a nationally-renown expert on the business of anesthesia and is a highly sought-after resource on the topic. He will be focusing efforts on increasing operational efficiencies, optimizing recruiting and staffing efforts, and new business development for DPI. In addition to working in anesthesia management, Hornsby’s career has been largely focused on professional advocacy. 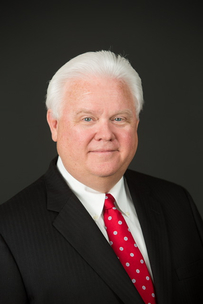 After serving in almost every elected position in the Alabama Association of Nurse Anesthetists and the American Association of Nurse Anesthetists (AANA), he served as President of the AANA from 2000-2001 and is most known for his prominent role in negotiating the nationwide supervision opt-out ruling with U.S. Secretary of Health and Human Services, Tommy Thompson. Hornsby received the AANA’s highest honor, the Agatha Hodgins Award for Outstanding Accomplishment, in 2013. In 2016, he received the Distinguished Alumni of the Year Award from his alma mater, the University of Alabama at Birmingham School of Nursing.